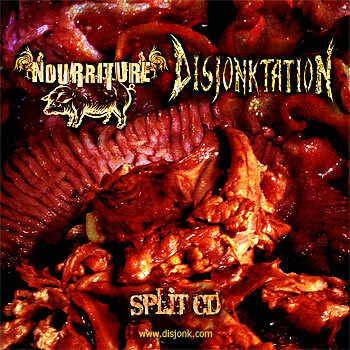 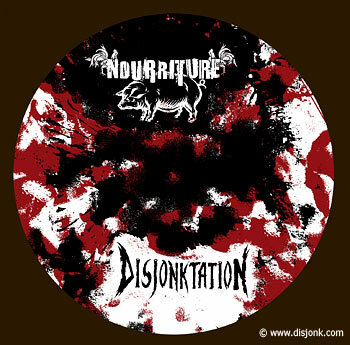 Cd artwork cover design for the grindcore (gore) death metal album Nourriture / Disjonktation Split CD on the PRODISK metal label. 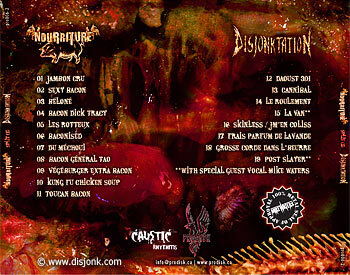 I used to play bass for Disjonktation in 2005. 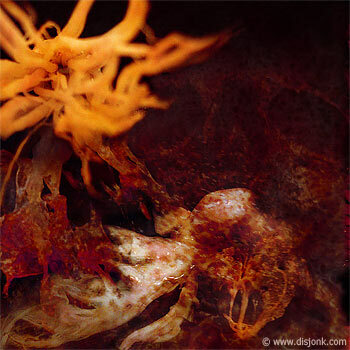 Write me an email if you want a copy.